But after that response kicked up an online firestorm on Friday and charges of digital anti-Semitism, the tech giant quickly changed its algorithm to produce a less contentious search result. 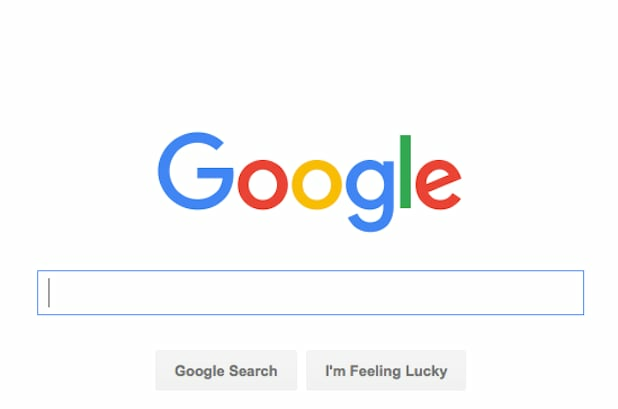 Last year, the people at Google started toying with new ways to run searches, inserting a white box above the blue links where it put answers to more complicated questions. 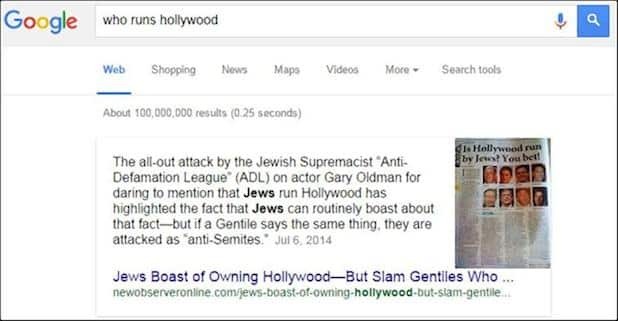 A search for “Who runs Hollywood?” produced a befuddling answer box and link from a right-wing website denouncing the Anti-Defamation League, a prominent Jewish advocacy group. The same “Jews” answer also appeared in Google’s mobile searches. News of the problematic answer prompted critical headlines early Friday, with major news sites taking aim at the ubiquitous search engine behemoth. In June, Google ran into similar problems when a search for “what happened to the dinosaurs” prompted a response from a Creationist website. That response is still on the site.